Can You Be a Rockstar Real Estate Agent and an Introvert? While extroverts get all the credit for closing sales, introverts have their own skillset--one that is surprisingly perfect for real estate. There's a persistent myth that only extroverts can be great salespeople. You know the type - the boisterous car dealer, the fast talker, the snake oil salesman-- all blessed with the gift of gab and a natural ability to persuade. But there's a reason we said this was a myth. Introverts have their own ability to sell--we think even the quiet introvert can be a rock star real estate agent. Here are some tips for becoming a quiet force to be reckoned with. Introversion is having something of a moment in pop culture. 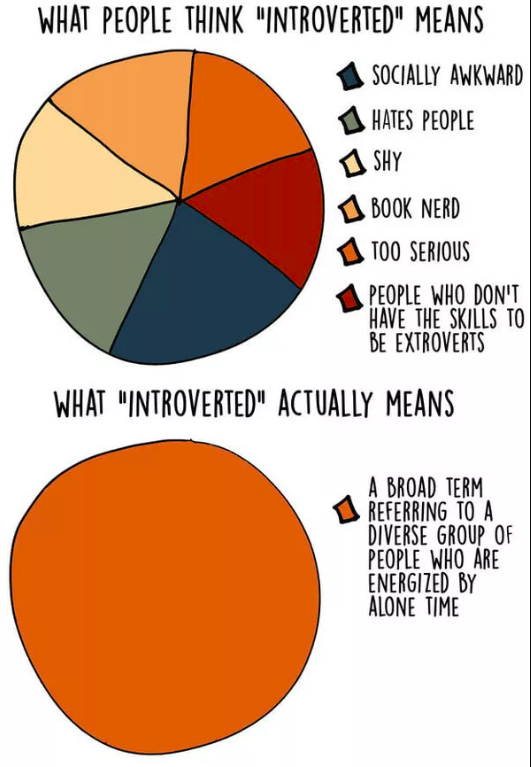 And while there are a million memes documenting the introvert’s commitment to Netflix and nights-in, we don’t always get the personality type quite right. An introvert isn’t necessarily antisocial or very shy. And though many people associate introversion with being timid, the term refers to people who are introspective and value their personal space. These people think before they speak and prefer one-on-one interactions over large group settings. With that in mind, it’s interesting that there’s a misconception they are inherently bad at sales. Now, there is something to the fact that introverts run low on energy after a long day spent talking to others. And yes, some sales roles—like telemarketing or working the retail floor–indeed might not be a great fit. But real estate is a bit different. First of all—you’re not out on the street trying to wave people down to hear a pitch. You’ll have time to decompress, do research, and to come up with a strategy. Good salespeople are strategic thinkers—and as such, they need to have the ability to go between a place of social interaction and one of introspection and analysis. If you’re unconvinced of the introvert’s hidden power, we recommend checking out Susan Cain’s TED Talk. Cain has studied introverts extensively, and her research highlights the strengths of people who think before they speak. She says introverts possess something called, “powerless communication,” which is more flattering than the name suggests. This idea of powerless communication centers around the idea that when people feel like you are trying to persuade them, they’ll immediately put their guard up. However, when a person feels as though someone is trying to help them, they’re more apt to open up. Salespeople who can communicate their helpfulness can be top performers. It’s this ability to come in and say, “I don’t have all of the answers” and be honest about your imperfections. For all of the emphasis on using the active voice, making power poses, being outspoken—people tend to feel more comfortable responding to folks who weave tentative language into the conversation. The most powerful skill in sales? Listening. When you work with customers, you’ll ask a question and listen thoughtfully to the response. While many people perceive introverts to be poor communicators, that’s not an accurate analysis. Introverts might not love small talk, but they spend a lot of time thinking, analyzing and listening. As such, introverts can help a client find the perfect home—one that meets their needs. They’re not spending time convincing customers that they need something that’s not quite the right fit. What's more--the introvert isn't driven by the power of the closing bonus. Instead, you’ll find that an introverted agent takes the time to look for that open floor plan or that big backyard the client was hoping for. Top performers know that they can’t just “wing it.” Real estate success comes down to analyzing customer reactions to certain words and phrases—and making adjustments accordingly. Newcomers think that they need to be able to come in and sell ice to a penguin, but that’s not really how it works. Successful agents know they need to study up on markets and perfect their sales strategy. While extroverts’ natural sense of spontaneity is generally a good thing, many extroverted agents make the mistake of improvising their client interactions. While this sense of fun can be infectious, customers may grow suspicious of a salesperson who is “always on.” Again, we’re back to Susan Cain’s powerless communication principle—you’re not going to win customers with fluff and BS. Introverts know what they’re selling on a deep level. Chances are they know the ins and outs, the quirks and the benefits of all their properties like the back of their own hand. See, the introvert doesn’t like showing up underprepared. As such, this salesperson will be scanning their backlog of knowledge to help the customer find the best offering available. What’s more, introverted salespeople tend to spend time qualifying their leads. They’ll get on the phone and ask the right questions to determine whether or not they’ve got what it takes to deliver. While extroverts are out capturing new connections like they’re going out of style, their introverted counterparts seek out quality over quantity. Though introverts might have fewer friends than their more boisterous counterparts, the relationships they have tend to be richer and more fulfilling. In the real estate business, the cost of every transaction is much higher than it would be when you’re selling software subscriptions or a new TV. With high-value transactions on the line, introverts know that building trust is vital. An introvert won’t sell you on false promises and a hefty dose of BS. Instead, they’ll bring their guiding values to the table—honesty, empathy, and gratitude—traits that put consumers at ease. Who Actually Sells the Most? We’ve probably made the case here that a great salesperson doesn’t need to fit into the high energy, high-pressure extrovert mold. But we have to ask, who is selling the most homes? 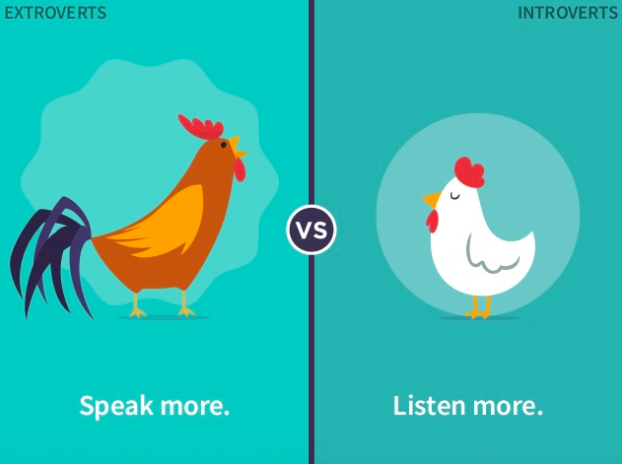 Introverts with their strategic mindset or extroverts and their inherent charms? According to a study published by Adam Grant of Wharton Business School, the real winners aren’t the extroverts or the introverts. It’s their middle-ground cousins, the ambiverts. This group knows when to speak and when to listen. They’re friendly and engaged, but they don’t need to be the center of attention. 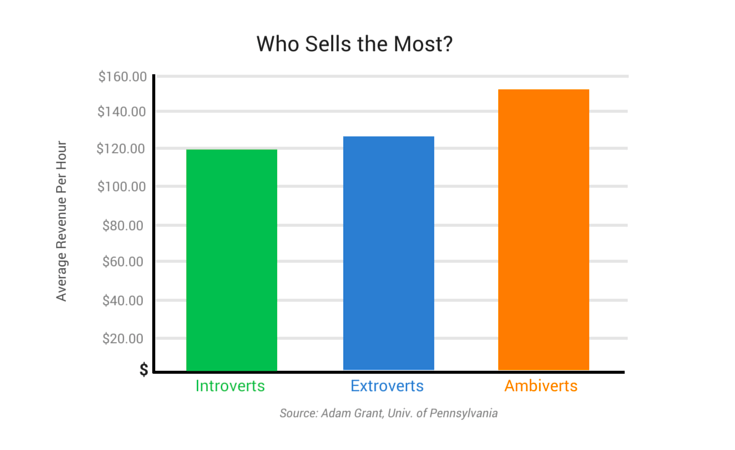 So, while the data doesn’t prove that introverts are the best real estate agents of the bunch—it does show that extroverts aren’t alone in raking in those big commissions. Ultimately, ambiverts may be most naturally inclined to be good salespeople. The ability to approach people is a critical element of real estate success, as is the capacity to handle rejection. But, introverts can learn these skills by practicing. Social graces are a muscle you need to flex—a use-it-or-lose-it ability. Extroverts deal with a similar issue—they might struggle with listening or letting someone else steer the conversation. Speaking of Traits, What Does a Good Realtor Need to Bring to the Table? If you’re used to selling items that require a short intro to close cycle, the pressure ramps up. So car sales, retail, etc. might take a more aggressive approach to selling. In real estate, you’re asking customers to make a decision that will change their entire life. With that in mind, all agents should perfect their active listening skills, their big-picture analysis, and their empathy. Sales is all about assistance—with a dash of persuasion mixed in. And ambiverts, extroverts, and introverts all need to hone their quieter skills along with their charm and proactive attitude. In the end, the best real estate agents are always looking for opportunities to learn and grow. Check out our upcoming class schedule to learn how you can become a better salesperson--no matter what type of “vert” you fall into.